Summer school offers a valuable opportunity for high school students to take an elective that they may require or retake a class that they may have failed. Students can take summer school classes in English, math, science, social studies and electives. Typically, two sessions of summer school are offered for students in 9-12th grade. 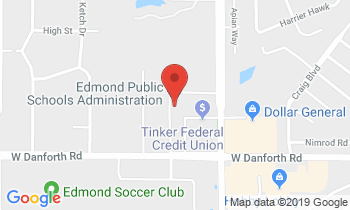 Classes are held Monday through Thursday in the Freshman Academy at Edmond Memorial High School. For information, contact Brandon Kysar at 726-6802. The cost for summer school is $250 per course. Tuition must be paid upon registration and in person at Edmond Memorial Freshman Academy Office. Click the flyer below to learn more about payment and registration days. Summer Celebration meets Mon-Thurs from 8:30-12:15 and offers engaging, hands-on learning for first through sixth graders. Each class generally has a theme, such as science, cooking, photography, art or sports. In many classes, students use iPads and computers to learn skills such as animation and computer coding. Middle School STEM camp is a one week camp that allows students the opportunity to explore the fields of science, technology, engineering and, Math.